In addition to oil changes with quality Valvoline motor oil, our service centers offer preventive services recommended to keep your vehicle running its best. 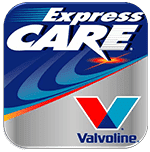 Valvoline recommends an oil change and maintenance check every three months or 3,000 miles to maximize the performance of your vehicle’s engine. Have your air filter removed and replaced to increase engine performance and fuel efficiency. Don’t get stuck with a dead battery. Battery check and replacement available at participating locations. Eliminate rough idle, knocking and hesitation and reduce emissions caused by buildup of deposits to restore engine performance and improve fuel economy. The gearbox transfers power from the engine to your wheels. Fluid replacement removes contaminated fluid to improve operation and extend the life of your gearbox. Simple parts replacement like vehicle lights and windshield wipers can help you stay safe while on the road. To keep your car running smoothly year-round and to protect your engine from overheating, you should have its radiator flushed and refilled with fresh antifreeze/coolant according to your manufacturer’s recommended schedule. Rotating tires according to your manufacturer’s recommendation promotes even wear to extend the life of your tires. Regular replacement of Automatic Transmission Fluid (ATF), according to your manufacturer’s recommended schedule will reduce rough shifting and accelerated wear.